Do you feel at home in the kitchen and need something that will complement your cooking? 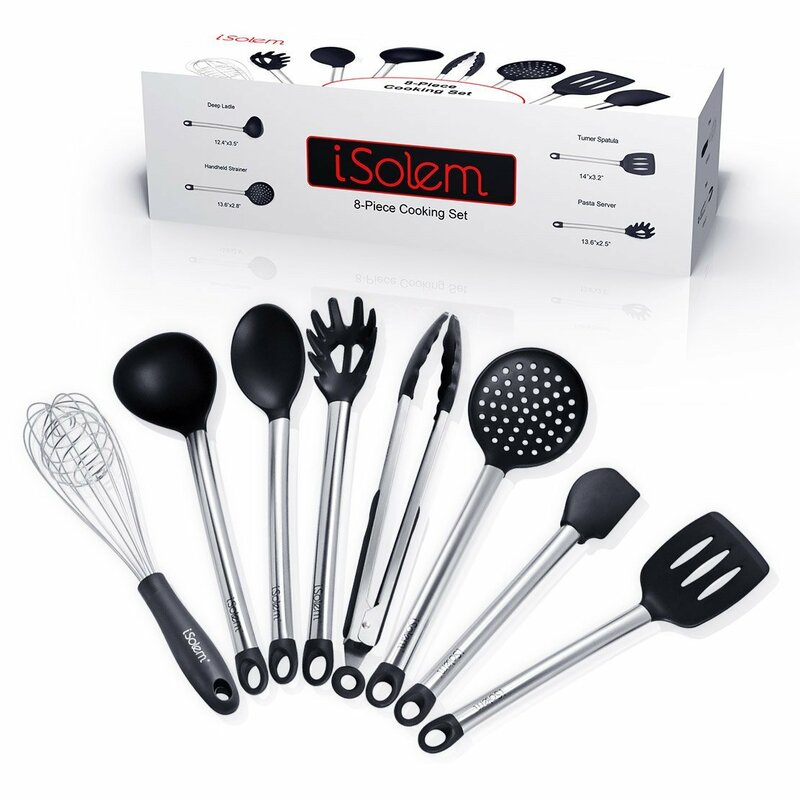 This 8-Piece cooking set by iSolem is just what you need. 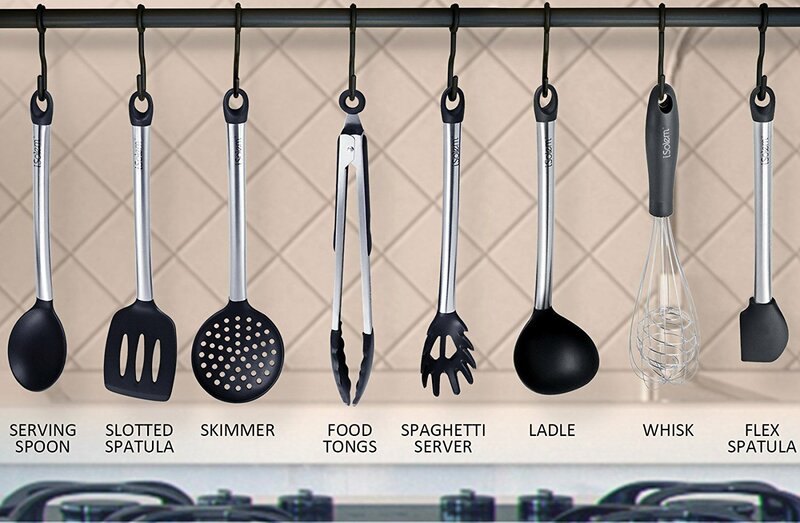 It includes 8 pieces of the most common and frequently used cooking utensils in any home. 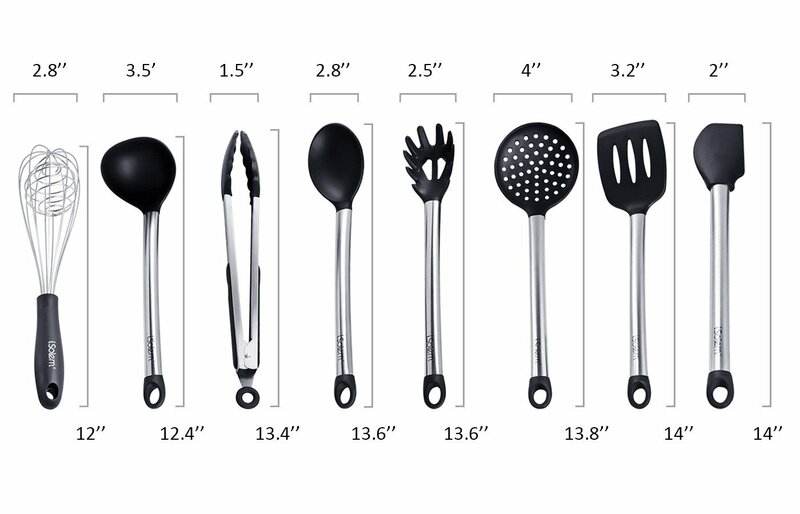 These include a whisk, tongs, turner, pasta server, flex spatula, serving spoon, deep ladle, and a handheld strainer. If this is not what you need in your kitchen, we don’t know what is. We are always committed to giving you nothing but the best, and go well out of our way to ensure that all our items meet all applicable quality and safety standards. 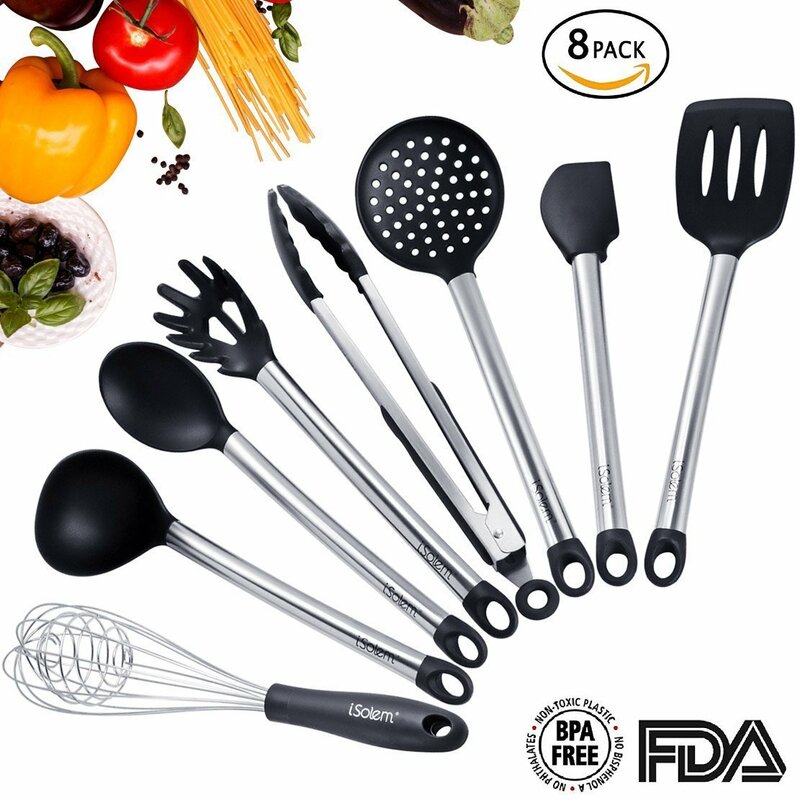 This 8-piece cooking set has been certified by the RoHS, FDA, and SGS as a safe and high quality product. It is free from any harmful chemicals that could pose a health hazard. 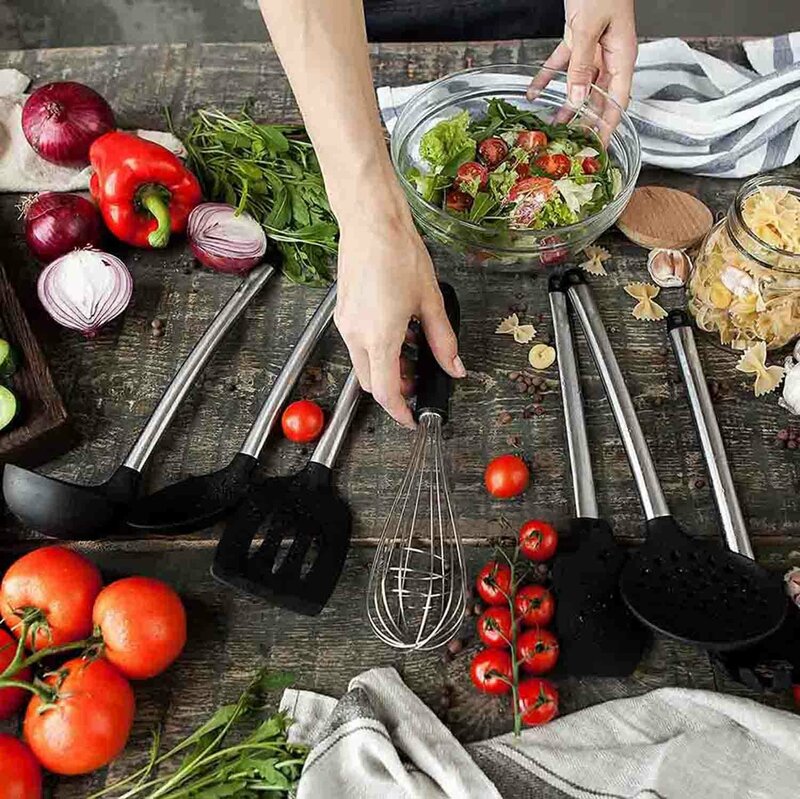 Do you have a friend, sister, mother, wife, or girlfriend that loves cooking? Get them this cooking set and show them how thoughtful you are. It is a top-quality set that every lady will love to have in their kitchen, and will surely score you lots of points. 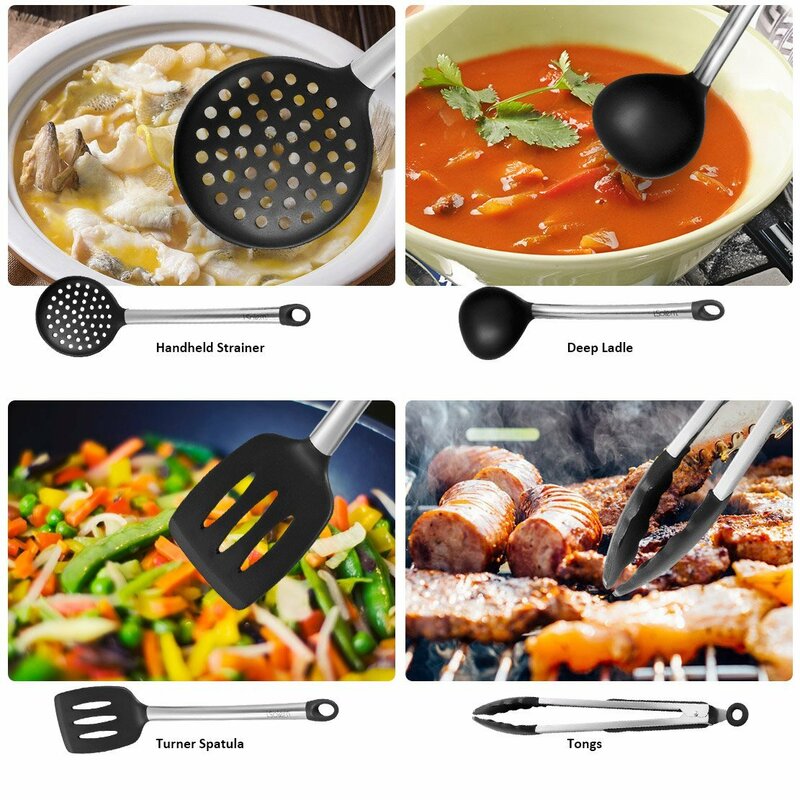 Count on iSolem to give you the best quality kitchen utensils. With them, you can really be your best. 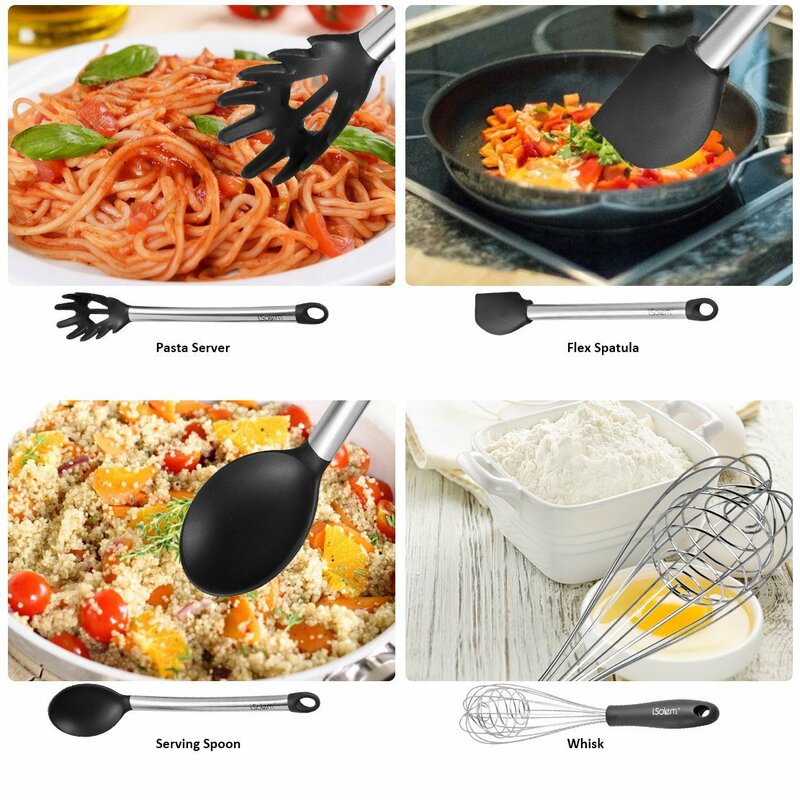 Click ‘Add to Cart’ now and get this cooking set. You will love that you did.